Salaam beautiful peoples! Today we Guide you How to Install Rainmeter Skins, you all know Rainmeter is a free, open-source application for Windows PCs. It is a platform that enables skins to run on the desktop. For more Amazing Apps You can also get us on Facebook, Twitter and Plus me on Google+. A skin can be many things. Some skins are very simple, single-purpose tools, like Windows desktop gadgets, or "widgets" on an Android device. Others are more complex, like miniature applications themselves. Some skins even come bundled in large "suites" and include their own tools for customizing their form and appearance, within or alongside Rainmeter's basic user interface. Every skin works differently, depending on the choices of that skin's individual author. If you only want to download skins from the Internet and use them as-is, then the answer is "none." 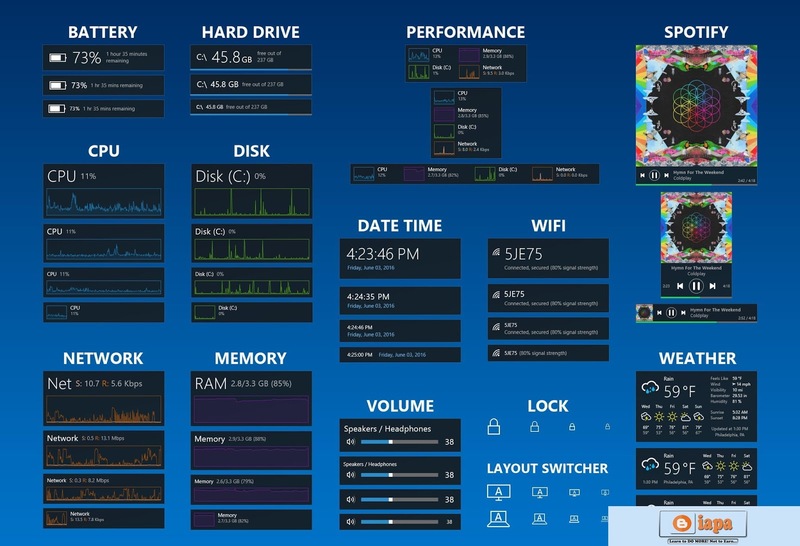 Rainmeter provides a basic user interface for managing your library of skins, saving and restoring layouts, and changing basic settings such as a skin's location, transparency, and "always on top" behavior. Skins b: At least one skin will always be included and installed in the Rainmeter\Skins folder. 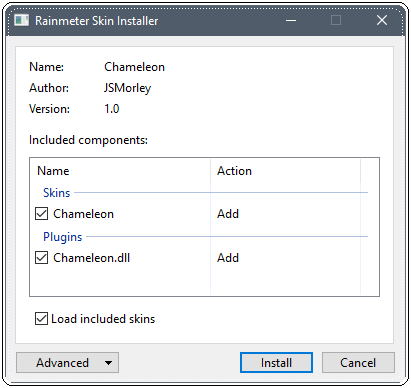 The author of the package may indicate that one or more skins will automatically be loaded when the installation is complete. Layouts: If the author has added a layout to the package it will be installed in the Rainmeter\Layouts folder. If Apply included layout is selected, the layout will be applied to Rainmeter following installation. Plugins: If the author has added custom plugins to the package the appropriate 32bit/64bit architecture version of the plugin .dll files will be installed to the Rainmeter\Plugins folder. If any of the skins to be installed already exist, they will be moved to a Backup folder before installation. This may be disabled by unchecking Backup Skins in the Advanced pull-down menu. First of all, if a skin comes in an archive, such as a ZIP, RAR / 7Z file, software is needed to "extract" them. 7-Zip is one of the popular choices, since it can handle almost any archive type. After installing the software, right-click the archive in Explorer to extract it. Note: "YourName" is an example. All Done, right-click the Rainmeter Windows Notification area icon and select Refresh all. The new skins will now be available to load from the Manage window or context menus.